Item Name ISO MORSE D L BT50 MT01 050 Morse Taper Adapter (Balanced to G 6.3 15000 RPM) (DIN 6383) 50 &nbs.. Item Name ISO MORSE D L BT50 MT01 120 Morse Taper Adapter (Balanced to G 6.3 15000 RPM) (DIN 6383) 50 &nbs.. Item Name ISO MORSE D L BT50 MT02 060 Morse Taper Adapter (Balanced to G 6.3 15000 RPM) (DIN 6383) 50 &nbs.. 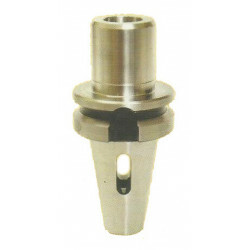 Item Name ISO MORSE D L BT50 MT02 140 Morse Taper Adapter (Balanced to G 6.3 15000 RPM) (DIN 6383) 50 &nbs.. Item Name ISO MORSE D L BT50 MT03 065 Morse Taper Adapter (Balanced to G 6.3 15000 RPM) (DIN 6383) 50 &nbs.. Item Name ISO MORSE D L BT50 MT03 150 Morse Taper Adapter (Balanced to G 6.3 15000 RPM) (DIN 6383) 50 &nbs.. Item Name ISO MORSE D L BT50 MT04 095 Morse Taper Adapter (Balanced to G 6.3 15000 RPM) (DIN 6383) 50 &nbs.. Item Name ISO MORSE D L BT50 MT04 180 Morse Taper Adapter (Balanced to G 6.3 15000 RPM) (DIN 6383) 50 &nbs.. Item Name ISO MORSE D L BT50 MT05 120 Morse Taper Adapter (Balanced to G 6.3 15000 RPM) (DIN 6383) 50 &nbs.. Item Name ISO MORSE D L BT50 MT05 220 Morse Taper Adapter (Balanced to G 6.3 15000 RPM) (DIN 6383) 50 &nbs..
What is BT50 Morse Taper Adapter? Where can I buy BT50 Morse Taper Adapter Online?